We are engaged in manufacturing a wide range of Ptfe Special Components for Valves and Pumps. These highly appreciated components for pumps/ valves are manufactured using premium quality raw material, which is sourced from the reliable vendors. We design and deliver the best quality range of PTFE Valve Component to our valued customers. PTFE Components are fabricated by highly creative work force that has got vast experience in this domain. 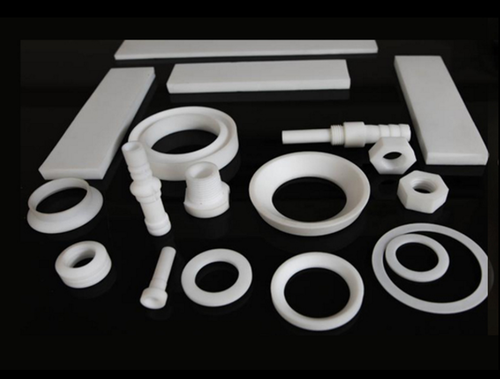 The range of our PTFE machined components and PTFE products consists of seat rings, roof packing, seal cover, plug valve sleeve, wedge rings, 'O' rings, washes, bearings, balls, balls, bushings, insulators, pipe joints, guides, beakers, piston rings, rider rings and hydraulic earth mover seal. We make sure all these products are delivered only after stringent tests. Looking for “PTFE Valve Component”?